» Present Your Price with Confidence! Stage fright! Does this describe the feeling you have when presenting the price of your product or service to a prospect. Your interaction up till that point goes well but suddenly when you get to the price reveal, you get all tongue tied and unsure of yourself. Here are 5 steps to assist you to confidently present your pricing. Some prospects may, right up front, ask you how much you charge. Don’t be snookered into a too early price discussion. Defer the question by telling your would-be client that you’d like to ask them a couple of questions first in order to understand their business. If you think about the retail environment, it’s seldom that you go into a shop and immediately ask the price of an item. Instead you take a close look at the merchandise and what it offers, and then only do you find out about the price. Asking questions ensures that you understand the challenges that your prospect has to manage and their business objectives. It also provides you with an opportunity to customise your solution to meet your prospect’s specific needs. Showing interest in your would-be client’s business sends a positive message and lays the foundation for a solid business relationship. I have a colleague who makes a point of only encouraging his prospect to open up and talk in their first meeting. My colleague is then able to recommend that he returns to present his solution in a second meeting, giving him a further opportunity to cultivate the new relationship. Present your offering and hone in on how your product can address the needs which your would-be customer has revealed to you. Speak the same language as your prospect, using the same terms used by your customer to describe their challenges. This reinforces in your prospect’s mind that you have an understanding of their problem and how to resolve it. 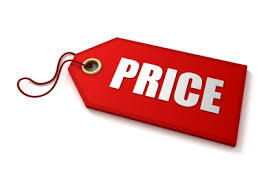 Reveal your price to your customer carefully outlining any value adds or bonuses which are included in the price. It’s a good idea to, in advance, consider any challenging questions which you may be asked related to your pricing and prepare your response. Also, make sure you have an understanding of your competitors’ pricing and how your price stacks up. If you are more expensive, be able to provide a rationale for this. Personally when I’m presenting to a new client, I like to have a sales presenter that I’m able to show to my client which visually and in key words emphasises the benefits of my service and then naturally leads into the revealing of the pricing. We take it for granted that someone who wants to purchase from us will automatically know the next step once the price is agreed, but often people need to be shown the way. If possible, have your new client provide a written commitment to acknowledge that the deal is signed and sealed. As an example, for my Master Your Marketing Formula (MYMF) online coaching programme, I provide an A4 sales aid which details the product but also has a registration section, allowing the purchaser to input their details, such as, VAT number, invoice name and address. I’m then able to use these details to immediately generate an invoice for my client upon returning to my office. Put the above 5 price reveal steps into action the next time you present to a prospect and experience a boost in your selling confidence! Previous Post What Should YOU and Roger Federer Have In Common? Next Post A Guaranteed Way To Grow Your Sales….